Slightly smaller than the Great Cormorant, it has a slimmer head and neck. 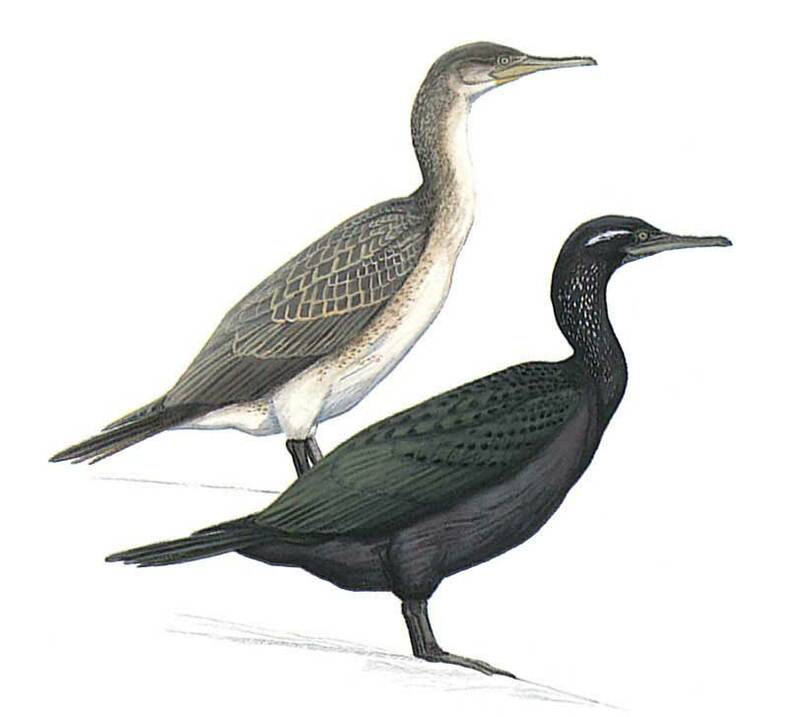 Adult has sooty black plumage with bronze green wings and back, and without white face and chin patch of Great Cormorant. Bill is much slimmer than that of Great Cormorant and appears paler against dark head. In breeding plumage, more glossy and with white eye-streak, white flecks on neck and fine whitish streaks on rump. Immature greyish brown above with pale fringes to coverts and brownish white below with brownish spotting on breast and belly. Easily mistaken for juvenile Great Cormorants. Often in large flocks during and out of the breeding season.